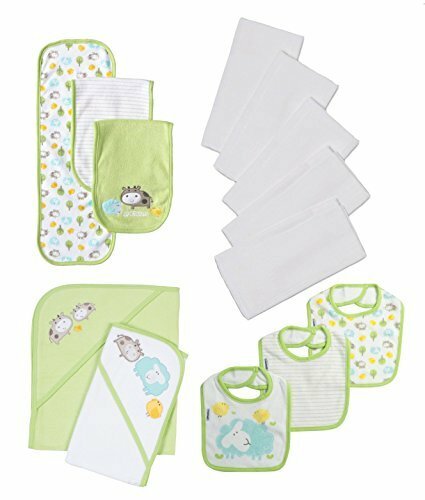 The Gerber 13-Piece Newborn Diapers and Bibs Essentials Set features key essentials every new baby needs in his/her wardrobe. These newborn baby's clothes are made of 100% cotton for softness and comfort next to baby's tender skin. Included in the Gerber Essentials Set are 3 bibs, 3 burp cloths, 5 prefold birdseye diapers and 2 terry hooded towels. Makes a great baby shower gift.